In most cases, converting a garage into living area will not require planning permission if you don’t expect to make any alterations to the original structure, but you may have to submit a building notice to the local authority. In the case of a free standing garage the change of use could need to have planning permission before carrying out the proposed work. In both cases the any alterations or additions will need to meet current building regulations for things like damp proofing, vents insulation, fire escapes & structural integrity. If you have to submit a building notice, then once the work is competed you will also need a completion certificate – this is important, as it will prove that the work met the building regulations. A good design, well planned & executed can add up to 10% to the resale value of your house. But keep it in mind that in some areas of the UK, houses with their own parking space and a garage are very sought after and valuable. Some Garages may only have a single skin (not cavity) walls to the exterior, this will need to be modified, and if so, the foundations will have to be checked to see if they can support a second internal wall. Fitting new power, heating & water supplies to the room will need to be carried out by a certified contractor. Have your existing system checked to see if it can accommodate any added work load. 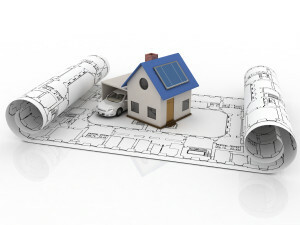 Planning permission – what is required for your proposed work. Existing walls integrity – construction type. Floors – will need to be damp-proofed & insulated. Garage door – what are you replacing it with (full window or infill brick + smaller window). Although it may seem to the easiest of conversions to alter your garage, there is a need to carefully plan what it is you are going to do. You can then understand the amount of work involved and so get an accurate figure for the cost of doing the work - and how much time and effort it will take to complete. It’s impossible to give an accurate figure here as the final cost for converting any room will obviously depend of the amount of labour, materials & time taken to complete the works, it can also depend in what part of the UK that you live, but you can expect to pay at least £3,500- £6000 – ranging to £10,000+ for more complex examples. Always get at least 3 or 4 written quotes from reputable companies. Find out the cost of converting your garage.